What do you do when you need to move heavy loads and there are no roads to make use of or there are roads but you can’t use them? The answer is quite simple: you turn to the 4×4 Aviation’s vehicle that can be technically called a hybrid VTOL and is being called a VV (Versatile Vehicle)-Plane. This machine can manage a truck sized load with a speed of 320 Km/hr. The amazing plane capable of vertical take-off has more to it than meets the eyes. It will make use of four clusters of 4 ducted fans that will be powered electrically by making use of a storage method (for energy). This approach will be facilitated by a combustion engine generator. 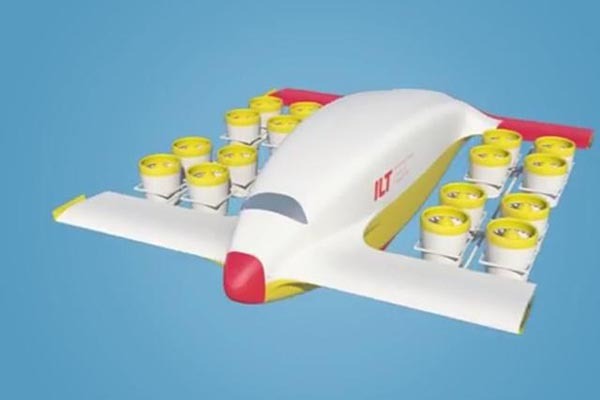 The fans that will be ducted shall transform into a horizontal stance once the take-off has been executed and will be responsible for providing the movement forward. Also, the plane will have two horizontal stabilizers; one at rear and one at the fore-wing close to the nose. The creators have already managed to patent the bespoke gimbal technology that will be employed in order to execute the rotation of the ducted fans. As per the company, a combination of the gimbals and a unique software system makes them able to seamlessly carry out the transition without having to rely on the mechanical tilting system currently in use. Just to remind our readers; the prevalent mechanism is quite heavy and expensive. 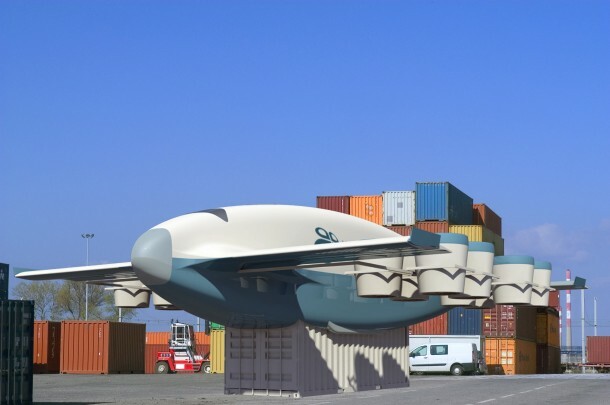 VV-Plane boasts of a wingspan that is 15 m in length and shall come with a fuselage of the same length while being able to carry a load of 33 tons. 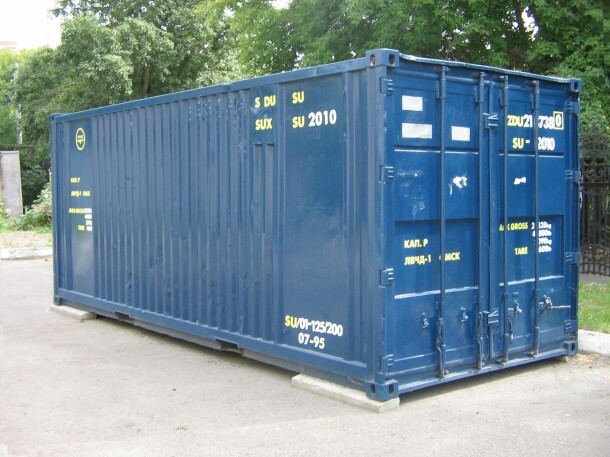 The design was made this way so that the plane becomes capable of carrying an industry-standard Twenty-Foot Equivalent Unit (TEU) container. 4×4 Aviation is working on displaying a prototype and experiment some flying on 26th September at Ashford Airport in Lydd, Kent. 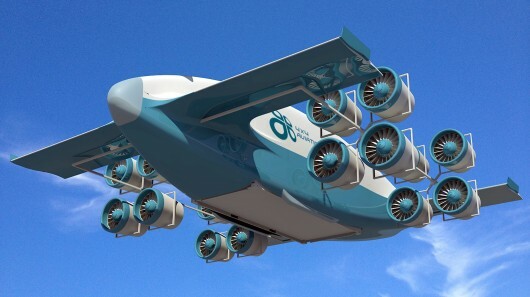 The reason why this VTOL plane is unique is the fact that it relies on the ducted fans, electrical, to come up with the thrust that is required to vertically lift the plane off. There is no word on when the full scale version shall be available, however, the company is currently looking for financial backing of the next phase of the development. Fingers crossed for this wonderfully soon to be engineered plane!